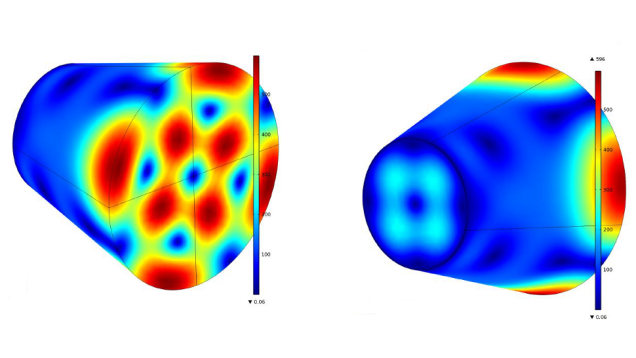 COMSOL Magnetic Field Surface Distribution (NASA Eagleworks). The concern with this theory, however, is that it might not work in a sealed vacuum. After last year’s trials of the engine, which weren’t done in a vacuum, skeptics reasoned that the measured thrust was attributable to environmental surroundings external to the drive, such as natural thermal convection currents rising from microwave heating. The new experiment, however, addressed this worry head-on, while also signifying the engine’s potential to work in space. 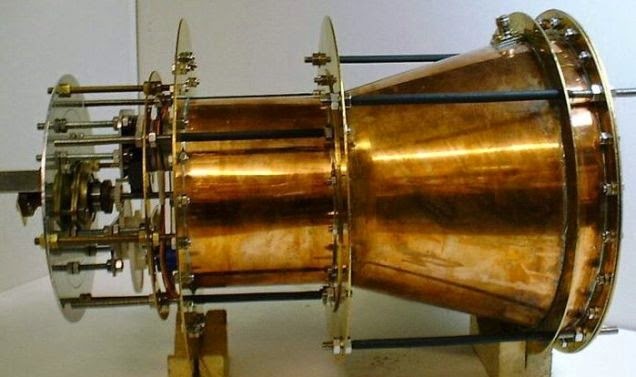 “The NASASpaceflight.com group has given consideration to whether the experimental measurements of thrust force were the result of an artifact. Despite considerable effort within the NASASpaceflight.com forum to dismiss the reported thrust as an artifact, the EM Drive results have yet to be falsified. Serious investigation, indeed. It’s important now that these tests be considered, simulated, and confirmed elsewhere. A peer-review and proper paper would also seem to be in order lest we get too carried away with these outcomes. But wow. Just wow. It’s still early days, but its uses are mind-boggling to say the least. A developed EM drive could be used on everything from satellites working in low Earth orbit, to tasks to the Moon, Mars, and the outside the solar system. EM drives could also be used on multi-generation spacecraft for interstellar travel. A voyage to Alpha Centauri, which is “just” 4.3 light-years away, quickly wouldn’t be so intimidating. An EM drive working under a constant one milli-g acceleration would push a ship to about 9.4% the speed of light, causing a total travel time of 92 years. But that’s without the need for checking; should we desire to make a stop at Alpha Centauri, we’d have to add extra 38 years to the journey. Not a huge deal by any degree of the imagination. Learn more here.